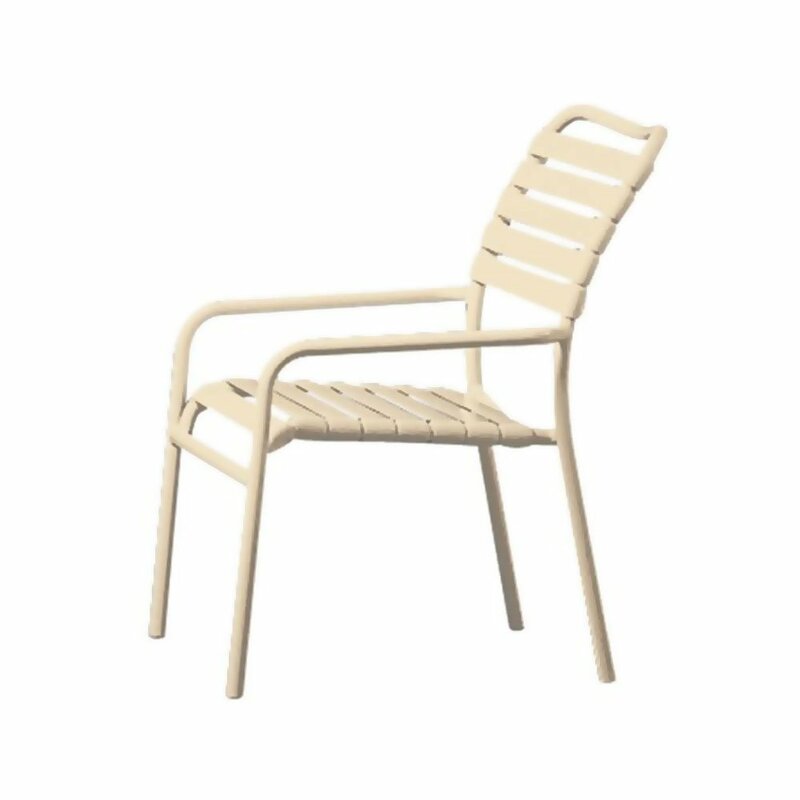 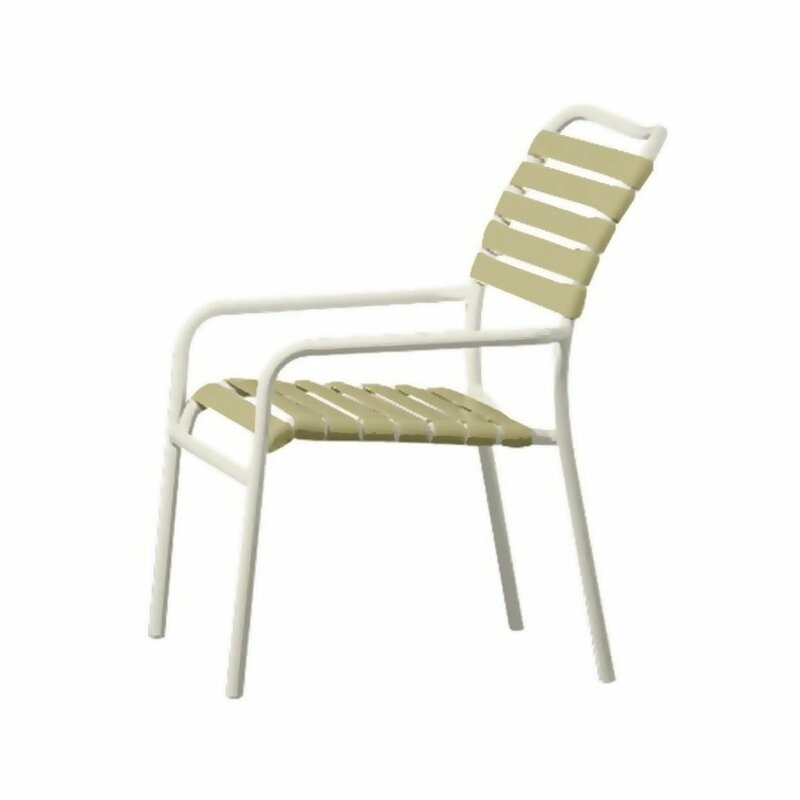 This Kahana vinyl strap dining chair with aluminum frame is easily one of the most popular, reliable and economically friendly dining chairs we offer as its found all over the country in various hotels, resorts, and communities. 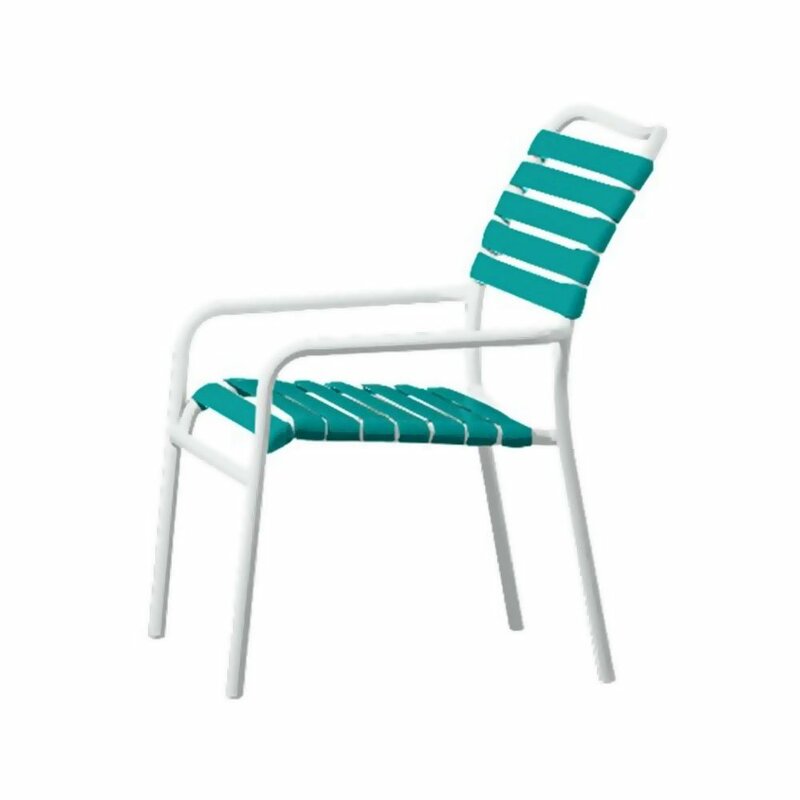 Enjoy comfort and durability as the Kahana dining chair uses commercial grade vinyl strap and a durable heavy duty powder-coated aluminum frame. Save on space as these chairs can be stacked on top of one another with up to 8 at a time. 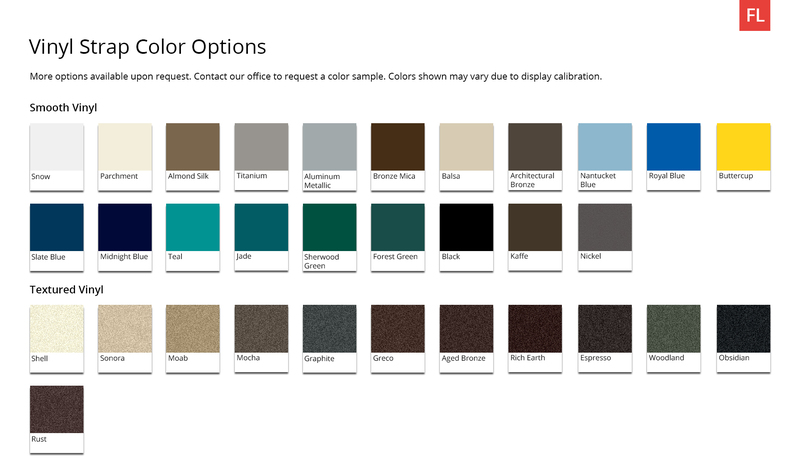 Fit the theme of your location with the vinyl strap color choices alongside the aluminum frame color options. 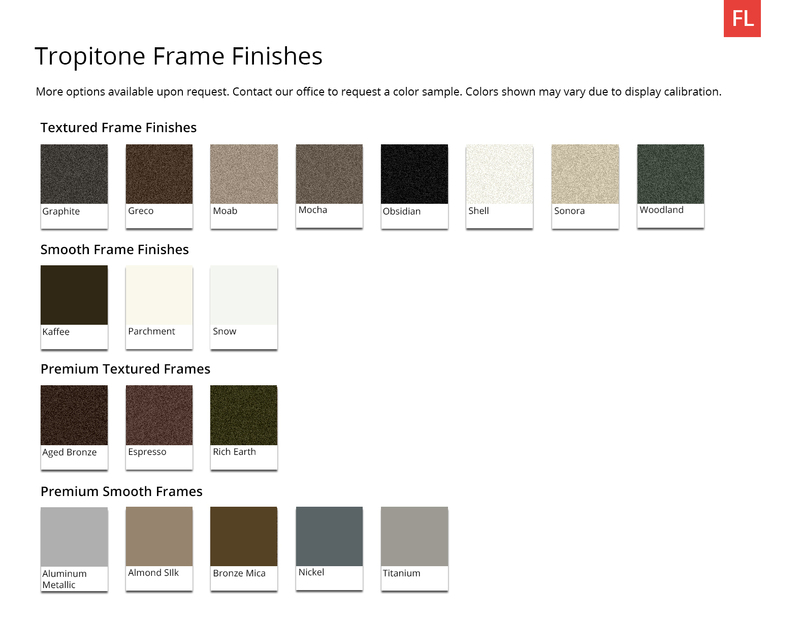 This includes a 5-year limited commercial warranty. • 16" Seat Height with 21.5" Arm Height.